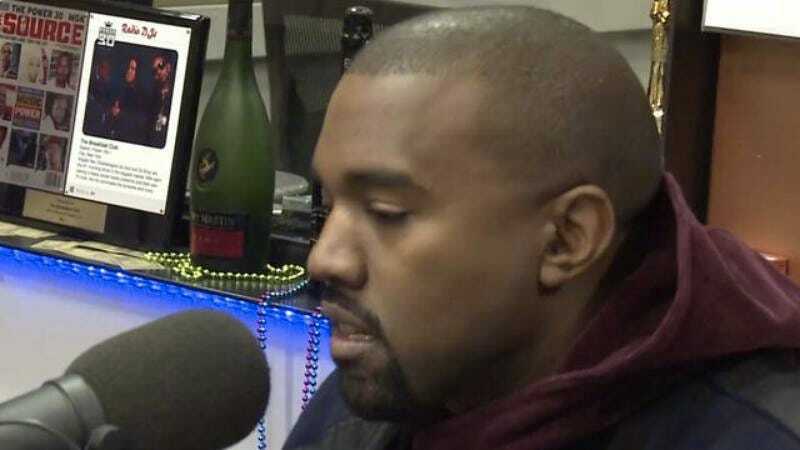 Kanye West hasn’t left much to the imagination regarding his new album. He’s already released a few of its tracks, and back in March, he shared the album’s name and what appeared to be its cover art. The title, So Help Me God, suggested a slightly more humble Kanye, or maybe just a Kanye who remembers that whole Holy Trinity thing from Sunday School. The new title is also open to interpretation. You might recall that the last time Kanye used this basketball-related onomatopoeia it was in congratulatory tweets about how hot and popular his wife is, perhaps because he found “#blessed” too hackneyed. So maybe this is his way of commemorating that celebration? Or, now that he’s moving forward with his fashion-empire dreams, perhaps he’s invoking the word’s British use as slang for fancy or elegant. Then again, let’s look at what’s happened since the original announcement: in April, Kanye was named one of Time’s 100 Most Influential People. He was dubbed a Titan and praised by Tesla Motors CEO Elon Musk, who said the artist has “fought for his place in the cultural pantheon with a purpose.” And since Titans predate gods—the Greek ones, anyway—Kanye might have been inspired to rescind his plea for help from any deity.